If we have to follow current reports, most people do not have a succession plan for their businesses. This means that there are normally no plans to pass on the business to heirs or existing partners, so someday you may need to sell out to pursue other dreams or to retire. There are enough reasons for opting to sale, from ill health to burnout. However if you know that someday you will or may exit, start making your plans now. The sad truth is that most people do not take the best care of their most valuable assets. Daily routines of running the business leaves you exhausted and leaves little room to worry about the future of the business. Most people do not groom someone to take over from them until suddenly the moment when you don’t have a choice but sell comes up. Having a hands free management team is the first step to creating a business worth selling. 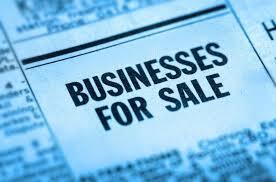 To avoid the shame of closing down or profitless liquidation always keep your business in shape for future sale. It is like exercising your body to remain healthy and attractive, the same applies to business. Most prospective buyers will not want anything to do with a crumbling business. Remember how you started out vigilant? Then apply the same routine now that you want to leave so that you get good value for what you have putting all your effort on over the years. Remember your hard years of labor are just about to pay off, work on improving your products and services to attract buyers easily. You need to keep accurate records of all transactions’ that you make, if you have not then start now. Most buyers would want records of the past two to three years to assure them that their investment will be profitable. Most business use calculated moves to evade paying taxes, good records of past tax payments will prove to the buyer that the business has been profitable even after taxes. If you operate a business from home, your home is definitely not on the list for sale. Just create a list of the equipments, customer list and the assets that go with the business: for example a delivery van or a lease. It is a common mistake for most owners of business to mingle personal assets and business assets, let your business run itself without relying on extra help from your family vehicle. Do this earlier in the process so that you will be able to realize the full power of the business and how much it can realize on its own. It is like weaning a baby so it does not rely on its mothers nutrients. If you normally attend health and physical checkups then you do need to apply the same with your business. Let an expert audit your business periodically so that you will not be surprised when a prospective buyer finds skeletons in your closet. In conclusion, write a summary of what the business entails and how it runs so that the buyer is able to run the business smoothly. Ensure he fully understands how great a deal your well kept, hands-free management, well audited business is.